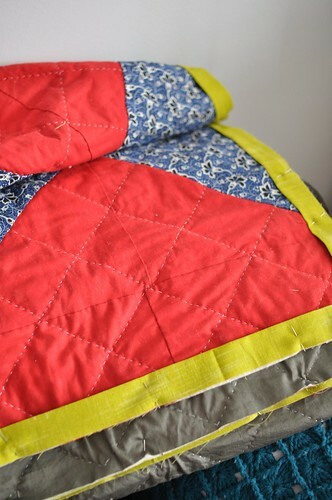 I finished hand quilting on the chevron quilt! 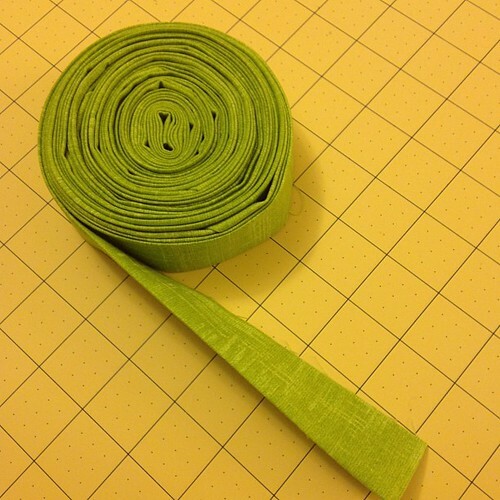 The quilting lines are about 3″-ish apart in a diagonal pattern. I’d actually love to do even more quilting on this project, but I think I might be ready to move onto the next one. On the knitting front, I have so much to do! I have a lovely lacy sweater pattern nearly ready to release before the autumn really rolls in. 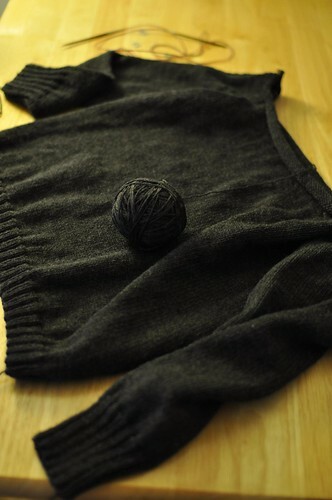 I’ve also been putting in some real work on a sweater for my boyfriend. It actually started as a sweater for me, but he really, really liked the yarn so I adjusted it to better fit him. I didn’t use a pattern, it’s just a basic bottom-up raglan with a bit of a neck detail. 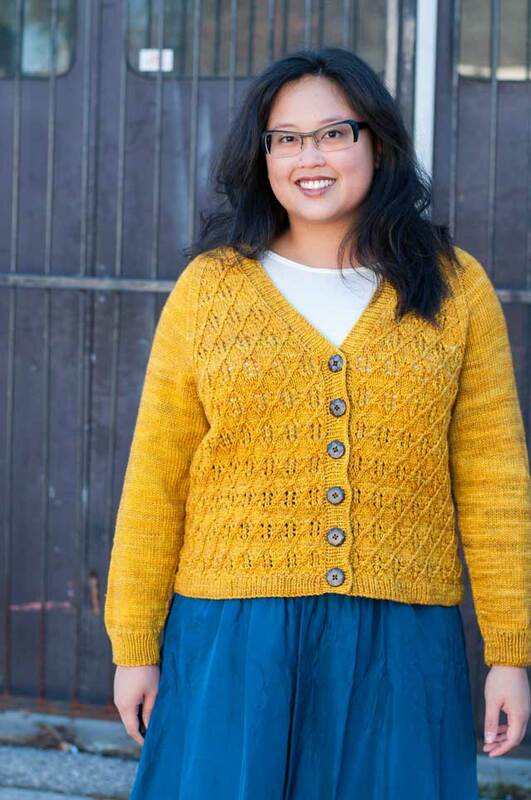 Quince & Co’s Chickadee is SUCH a lovely yarn, and a pleasure to knit with. 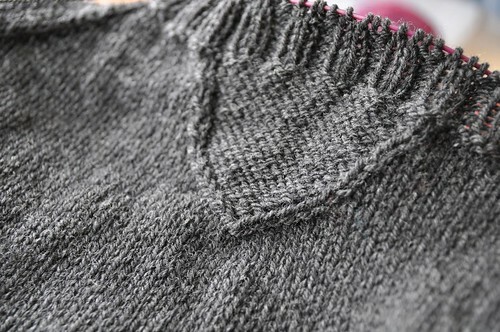 Maybe it’s that the weather is slightly less sweltering now, but I’m really feeling the need to reconnect with my knitting. I have so much to make and only two hands!